The motivational impact of gamification elements differs substantially across users. To account for these differences, we investigate Hexad user types and behavior change intentions as factors to personalize gamifed, persuasive fitness systems. We conducted an online study (N = 179), measuring the perceived persuasiveness of twelve gamification elements using storyboards. Results show the applicability of the Hexad user type in the Physical Activity domain. Besides replicating correlations between gamification elements and user types, we also found correlations which were hypothesized in literature, but not yet shown. 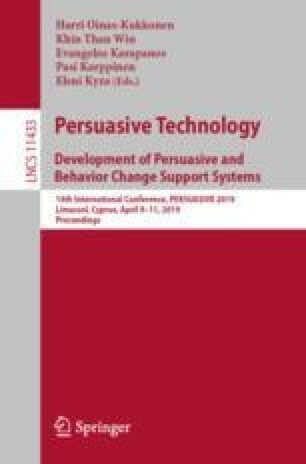 Our main contribution is to show that behavior change intentions influence the perception of gamification elements in general and affect the set of relevant elements for each user type. Since a static set of elements has been suggested for each user type so far, this is an important finding, leading to potentially more effective personalization approaches.